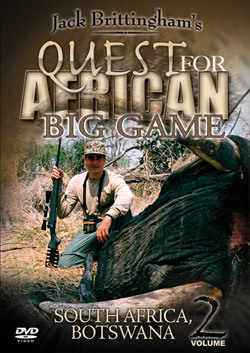 More than ten years in the making, these three productions represent the highlights of my African hunting in a variety of countries. 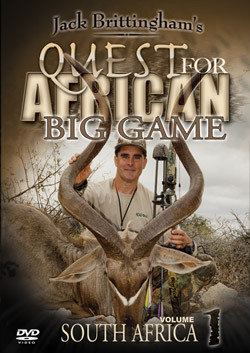 In Volume I, we begin in South Africa with bow and arrow. 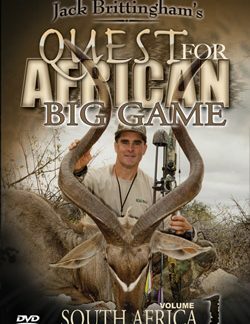 My friends, Richie Bland, Dennis Spence, and I use a number of different methods to take a divers bag of Plains Game species including, Nyala, Wildebeest, Kudu, Impala, Eland, Gemsbuck, Zebra and Ostrich over the course of four different trips to one of African’s greatest bow hunting destinations. Then it is on to the Okavango Delta Region of Botswana for one of my most exciting Elephant hunts. 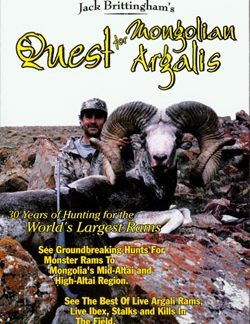 Guide Mike Murray and I cover 88 miles on foot in eight days as we search for a bull with tusks larger than seventy pounds and finally accomplish our goal. Our next hunts take you to Cameroon, Ethiopia, and Central African Republic, where my friends and I hunt Bongo, Duiker, Red Buffalo, Red Riverine Hog, Menelik’s Bushbuck, Mountain Nyala, and the Lord Derby Eland. 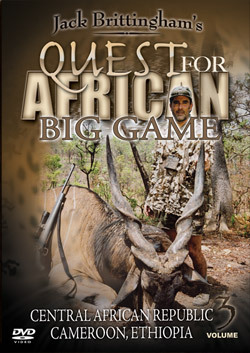 Never before have so many different hunts been packed into such an African production. 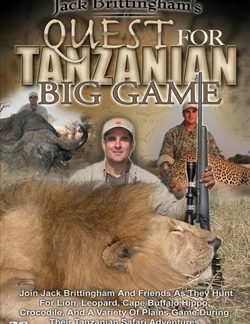 You will see some of the wildest places left on the African Continent, and experience the thrill of the hunt just as if you were there!